Made from tubular steel with a powder coated finish. 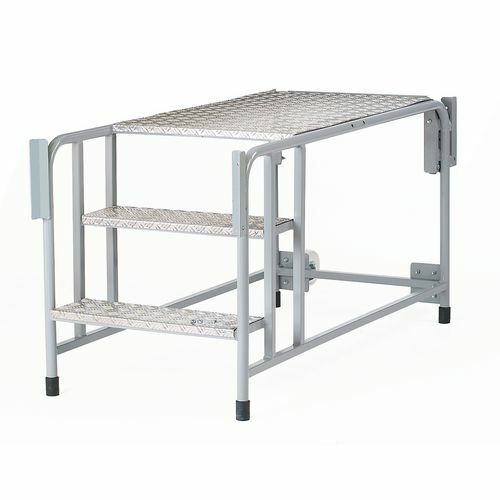 Slip resistant aluminium platform and treads. Fitted with 2 fixed 125mm dia. polypropylene wheels at one end, enabling unit to be lifted and easily wheeled into position. EN14183 compliant, 150kg load capacity. 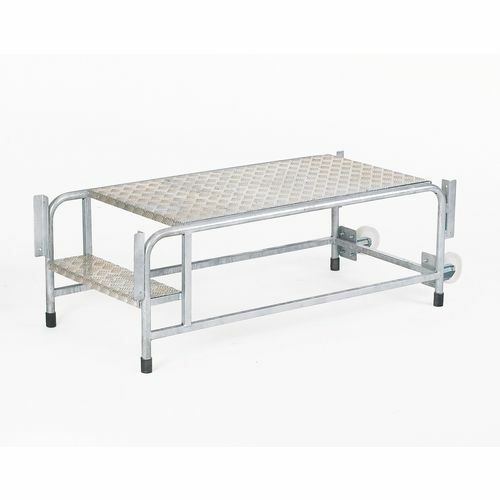 For a practical and durable product that allows you to work at height over a reasonable length, our painted universal platform with optional handrails is ideal if that is what you are looking for. Made from tubular steel with a powder coated finish, they are strong yet lightweight and fitted with two fixed 125mm diameter polypropylene wheels at one end, enabling them to be lifted and moved with minimum effort. The platform and treads are made of slip resistant aluminium, allowing staff to walk and work on them without worrying about falling due to an unsafe surface. They are available in a choice of three heights; 500mm, 750mm and 1,000mm and a choice of three lengths; 900mm, 1,050mm and 1,200mm, giving you the opportunity to find the optimal product for your working environment. 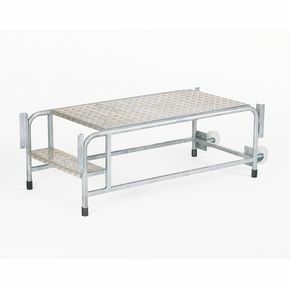 Optional side and end handrails are available to purchase with this product on adding it to your basket - please note the optional handrails are accessory products and cannot be purchased separately to the universal platform. Our product comes with a 12 month guarantee and FREE UK delivery. For use with universal platform.